I am happy to tell you that we have a treat for Summer's end and the beginning of Autumn. Tito La Rosa is coming through for a few days at the end of August and the end of September. PLEASE PASS THE WORD TO YOUR FRIENDS! $20 to $30 sliding scale. Tickets at $30 can be bought online. To pay less please call Ailish at 707 981 8770 to reserve. 30% percent of ticket sales will go to a fund to support the preservation of the lagoons on Cajamarca, Peru. Or click this link to purchase tickets on line. Directions to the concert will be sent when you buy or reserve your ticket. ANNOUNCING: The First Ayni Auction! We are happy to announce that we are online now with our Auction items. Please play with us! 100 percent of proceeds of the auction items sold will go to support the Chaupin School. We will accept items for another week. The auction will Close on July 15. Please click here to go to the auction part of our site and please let you friends know about this. If you want to post some service of item that you would like to sell, please call me, Ailish at 710 981 8770. Welcome Back Tito La Rosa! We are happy to announce that Tito La Rosa will be returning to the San Francisco Bay as well as Ashland, Oregon areas for a concert and ceremony tours in May and June 2012. For more information about this year's tour click here. Performance at Munay Farms in Petaluma (off Rainsville Rd - formerly Ayni Ranch) [directions] and benefitting Ayni Projects. 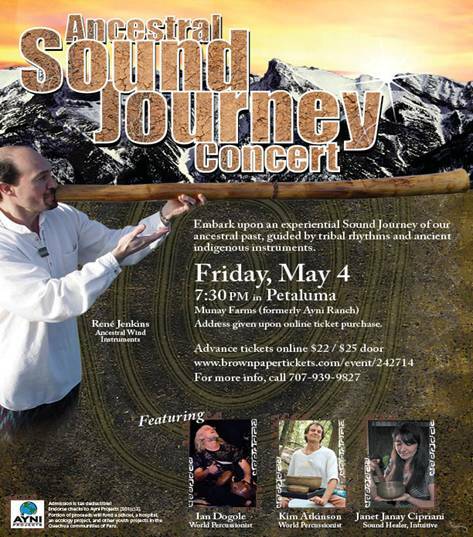 Join us for an experiential concert of ancestral sounds guided by tribal rhythms fromancient and contemporary indigenous instruments from around the globe. Stay tuned for announcements and calandars for these events. Donations from these events along with the concert studio rental at the farm will benefit Ayni Projects Madrina Padrino Project. The Return of Tito La Rosa, Viaje de Curacion May 16 to 31, San Francisco Bay Area. Information will be posted soon about his upcoming concerts, flower ceremonies, private sessions and classes. 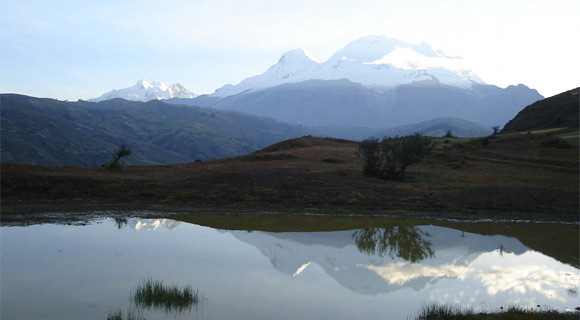 We are taking groups to the Andes on healing journeys. Our next tour will be in late May 2006. Our Viaje de Curacion Tour was a big Success. Many Thanks to all of you who attended our concerts and Flower Ceremonies with Tito La Rosa, Tavo Castillo and Pauchi Sasaki. Over 1000 people heard the sounds of the Andes and the attendance to our events helped bring public awareness and support to our projects in Peru. 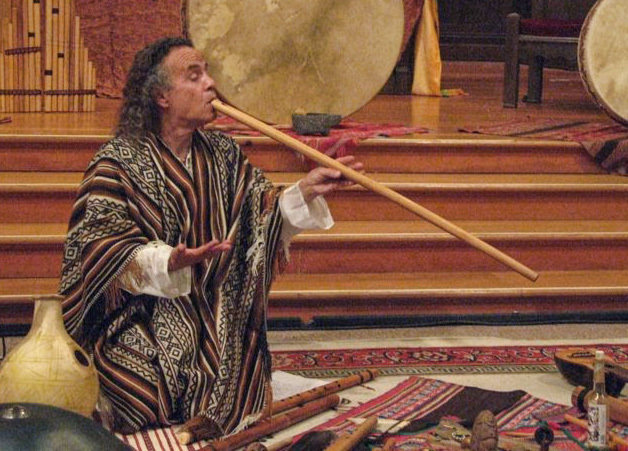 Tito La Rosa, beloved Peruvian sound healer and musician of South America returns to the Bay Area with Viaje de Curaçion Concerts and Flower & Healing Workshops from September 23rd through October 15th! - Sponsored by Ayni Projects, a non-profit 501c3 organization from the North Bay, raising funds for a variety of projects to benefit the local Quechua community in the Ancash region of Peru for school improvements & supplies, healthcare & education, and other opportunities currently unavailable. Be sure to listen to Stephen Kent's interview of Tito La Rosa on Stephen Kent's "Music of the World" Radio Program on September 22nd at 10:00-11:00 am.